The study of the entire genome provides for a complete and better understanding of functional relationship of different genes, genes coding for protein and other regulating sequences, as phenotypic expression is a complex interplay of these and much more. The genomic revolution, in its practically applicable form, is yet to arrive. This genomic sequence information for various organisms, including humans, is now influencing drug discovery which provides opportunity for researchers to develop new drugs/medicines. Major challenges in new drug discovery are to identify targets that are essential for the organism to survive. Several latest technologies have allowed us to understand the mechanisms of disease with respect to biological system concepts, and therefore therapeutic intervention has been developed using informative database and technologies. Therefore, with developing therapeutic interventions, it is imperative for pharmaceutical researchers to rethink about new drug discovery and targeting employing information obtained from the genomic revolution. 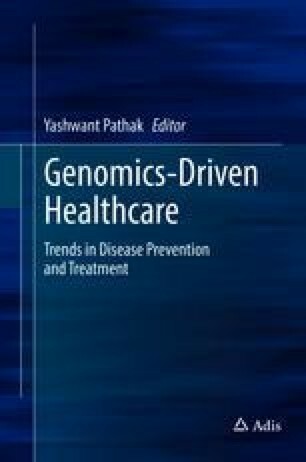 The chapter is summarized with an outline on the brief introduction on genomic revolution followed by changing scenario in drug discovery and targeting and paradigm shift in the treatment of certain major conditions such as cancer, cardiovascular diseases and tuberculosis in postgenomic era.